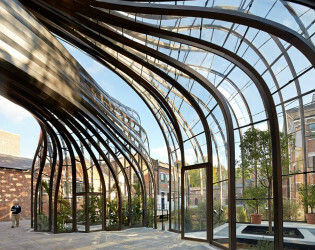 Delight in this 300-year-old distillery and hand-craft a chic and spirited celebration. 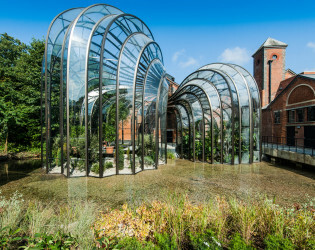 Bombay Sapphire took great care in renovating what was once known as the Laverstoke Mill. 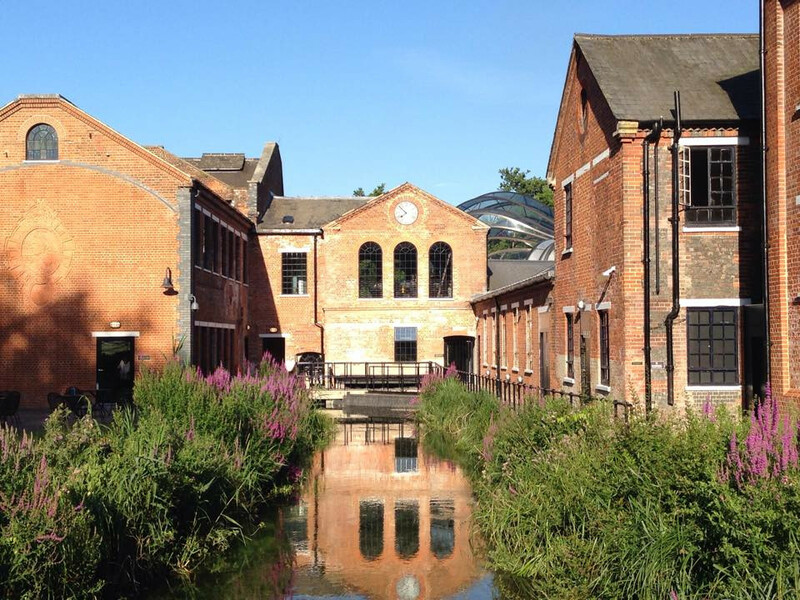 In fact, there has been a Mill on site in Laverstoke since at least 903 AD. In 1719 it was turned into a fine-quality hand-crafted paper mill and now it delights in distilling some of the world's smoothest gin. 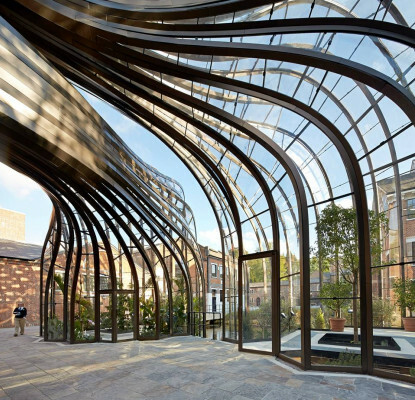 A gorgeous gala it will be in this glass-encased distillery! Located in rural Hampshire just 60 miles from London, Laverstoke Mill is a site steeped in natural beauty, sitting astride the crystal clear River Test and situated within a Conservation Area and Site of Special Scientific Interest (SSSI). 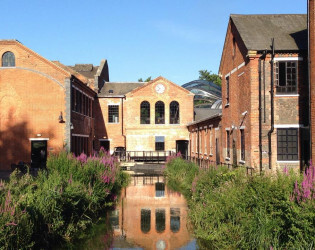 Laverstoke Mill also has a rich history: for nearly 250 years it produced high quality watermarked banknote paper for the Bank of England and the British Empire. 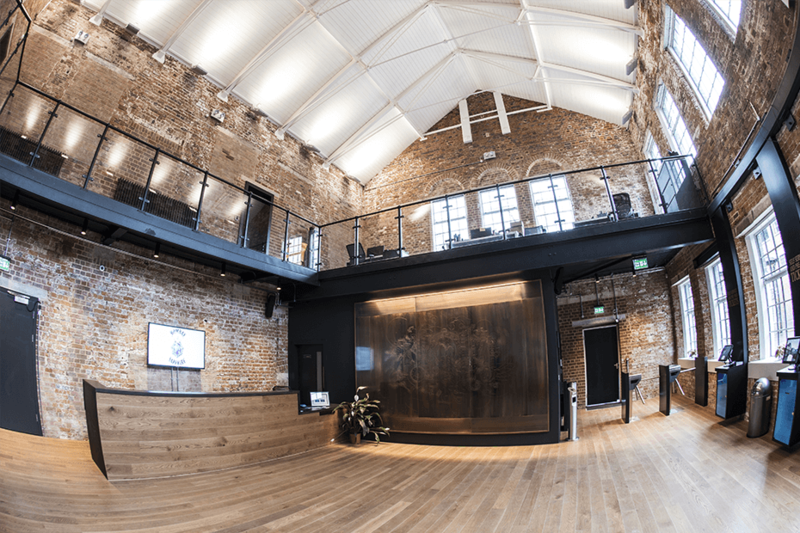 The careful renovation of the historic buildings encompasses the highest standards in design, functionality and sustainability. The acclaimed London-based architecture and design practice Heatherwick Studio has intricately married the old and new, creating a state-of-the-art distillery for Bombay Sapphire in the historic buildings of Laverstoke Mill. 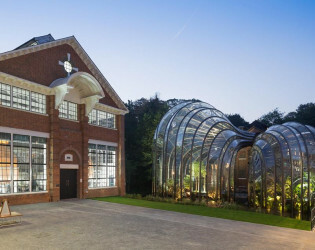 The legacy of this ambitious project has created a home that Bombay Sapphire can be rightly proud of and provides the ideal setting to spark inspiration and stimulate the senses of every visitor to the distillery. 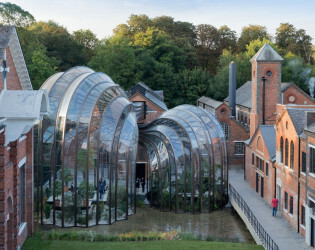 The Bombay Sapphire Distillery is available to host unique private events, from canapés and cocktails in the Botanical Dry Room next to the Dakin Stills, or a botanical banquet in the Mediterranean Glasshouse to a meal in the Gallery alongside the River Test. Room hire fees do not include VAT, nor catering costs. 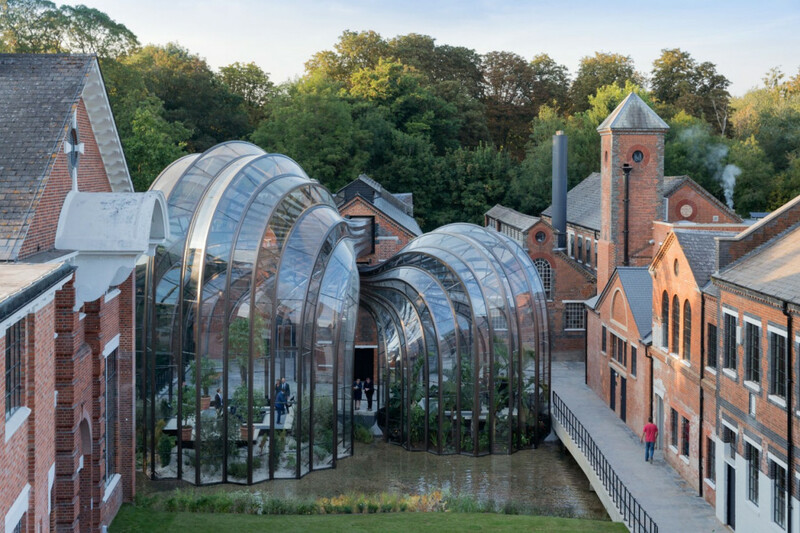 The Bombay Sapphire Distillery in the village of Laverstoke straddles the River Test, one of England's finest chalk streams. 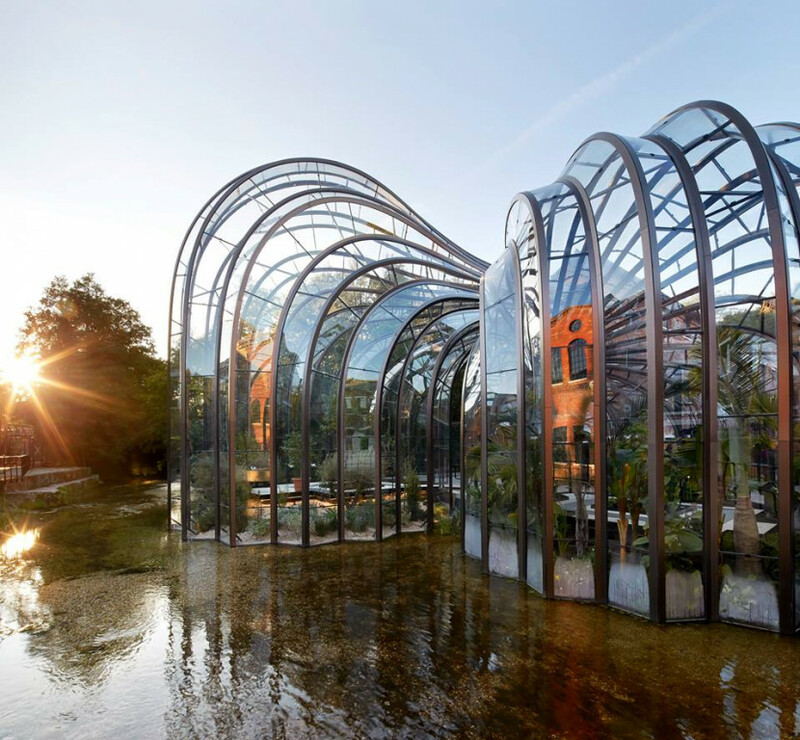 A mill manuafacturing the paper to produce the world's banknotes for many years, the new ultramodern gin distillery and visitors centre now hosts two intertwining botanical glasshouses that house the ten exotic botanicals that make up Bombay Sapphire. The striking re-design of the state-of-the-art distillery is in part the inspiration of the acclaimed London designers at heatherwick Studio. 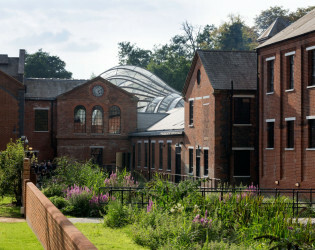 The careful renovation of the Mill included a number of beautiful Victorian and Georgian buildings restored to their former glory, encompassing the highest standards in design, functionality and sustainability. Discover what manes Bombay Sapphire the world's number one premium gin as you go behind the scenes at the Bombay Spphire Distillery. 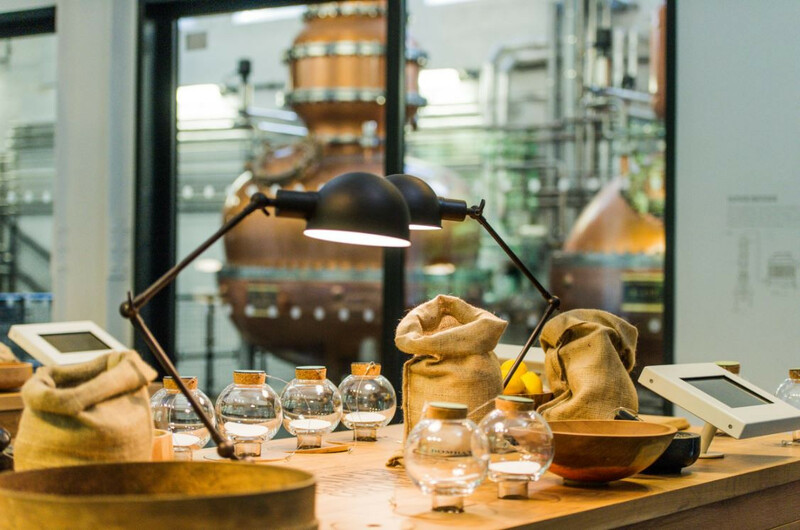 With gin experts on hand to create your perfect cocktails, an exclusive event at the Distillery is sure to make a unique and lasting impression! 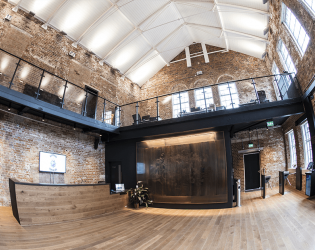 Hire of our Gallery includes a complimentary cocktail for each guest and all events include an events coordinator on hand throughout the event. 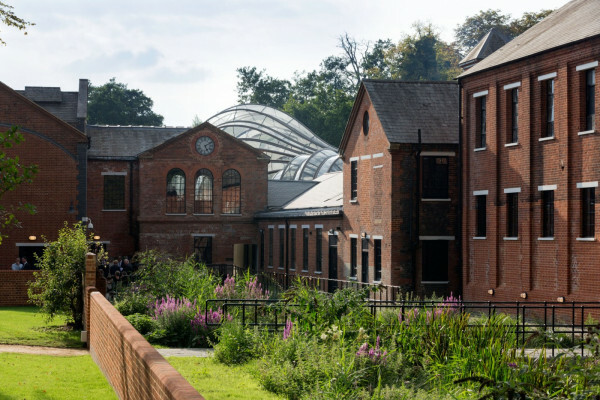 Awards & Notables In building a modern distillery at Laverstoke Mill every reasonable effort has been made to ensure the processes and buildings are as sustainable and efficient as possible. In recognition of this the distillery has been awarded the highly prestigious BREEAM Award for Industrial Design in 2014. Teas, coffees , cakes and sandwiches can be purchased from our Gin Shop. The main bar at the distillery is the Mill Bar which hosts up to 100 guests. 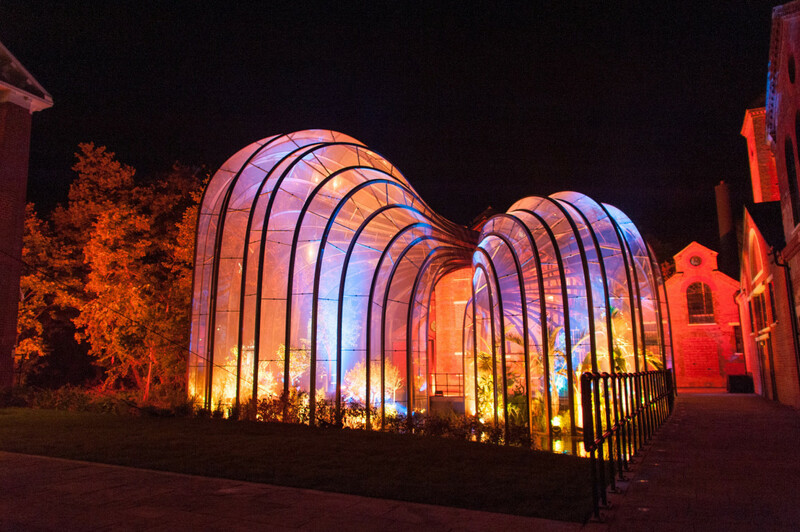 There are other mobile bars available on site which can be set up in a variety of places, from the Gallery, to the courtyard or even inside our Mediterranean Glasshouse! 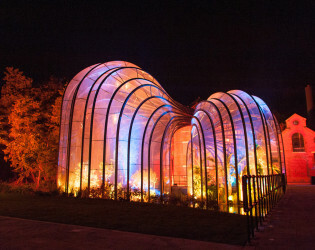 Glasshouses (receptions for 20-30 guests or an intimate botanical dinner for 12). Ideal for groups, private events, showers, corporate events. 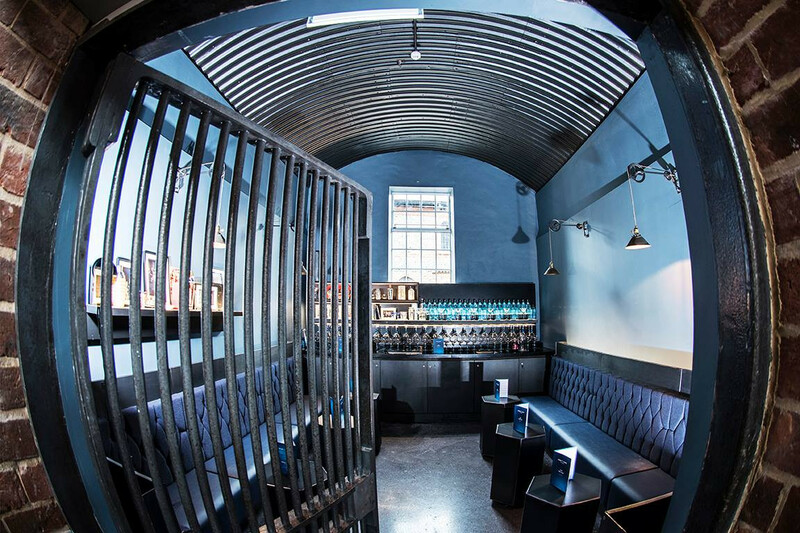 Take bespoke Cocktail Master classes followed by a private events. 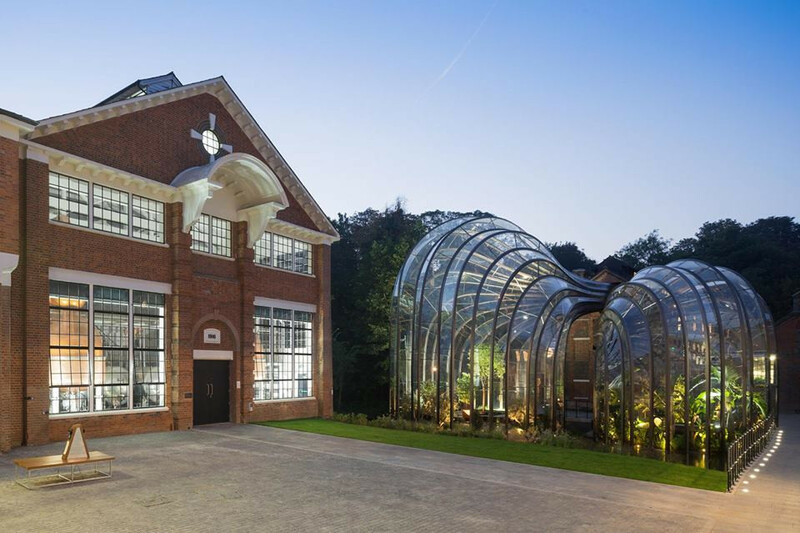 The botanical dry room drinks and canapes for up to 100 guests. 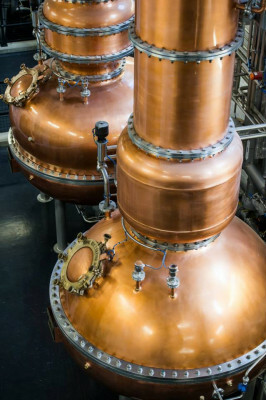 Discover the unique Vapour Infusion distillation process in the Dakin Still House. 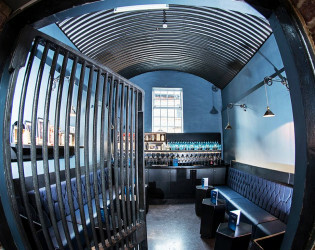 Private events: An after hours distillery experience with a Cocktail Masterclass in the Vault. The magnificent Bombay Sapphire Distillery Glasshouses at Laverstoke Mill. 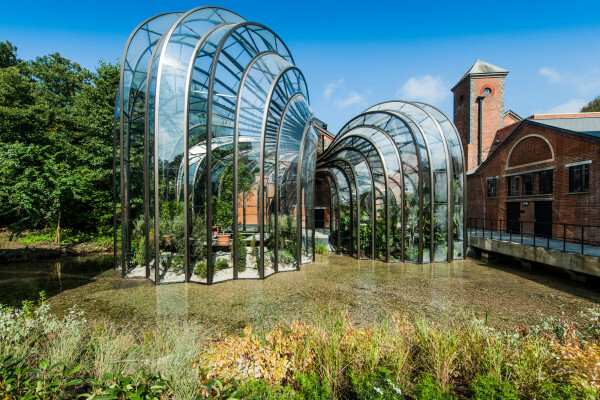 The Bombay Sapphire Distillery is at Laverstoke Mill in Hampshire about 20 minutes from Basingstoke train. 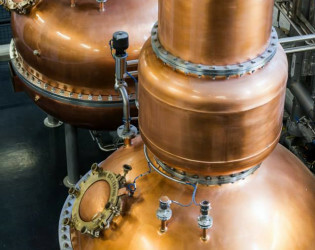 In 1719 it was turned into a fine-quality hand-crafted paper mill and now it delights in distilling some of the world's smoothest gin. The acclaimed London-based architecture and design practice Heatherwick Studio has intricately married the old and new, creating a state-of-the-art distillery for Bombay Sapphire in the historic buildings of Laverstoke Mill. 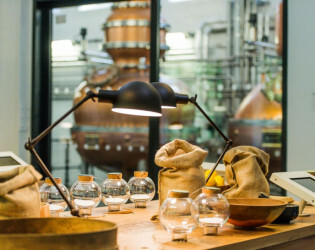 With gin experts on hand to create your perfect cocktails, an exclusive event at the Distillery is sure to make a unique and lasting impression! This unique venue is ideal for corporate events, intimate gatherings, birthday parties and social events.